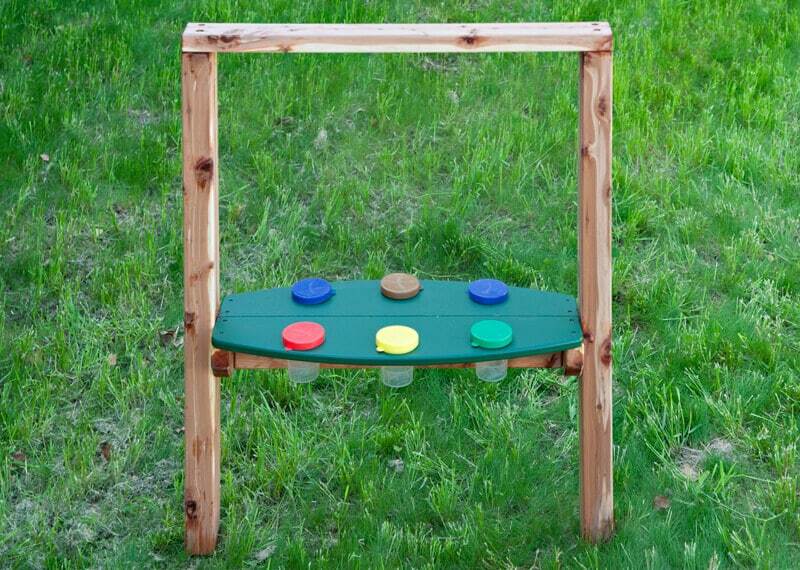 This economical outdoor art easel provides painting surfaces and paint cup holders for two or more children. Our Single Small Art Easel allows children to socialize and work with one another while drawing, painting and writing. 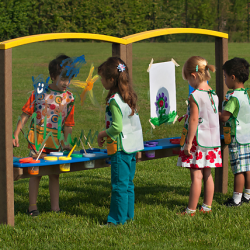 This double sided outdoor art easel allows one child to paint on one side, while a friend paints on the opposite side. This helps develop cooperative and parallel play, and assists in developing greater social interaction skills. One of our favorite preschool art ideas is to have a child stand on one side of the art easel and have another child trace their outline or shadow. 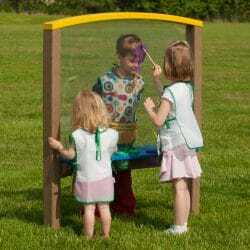 Designed as an outdoor classroom product, the Art Easel surface is made of durable, clear polycarbonate. Children can paint directly on the clear surface or tape paper to the surface for artists who want to take their creations home. 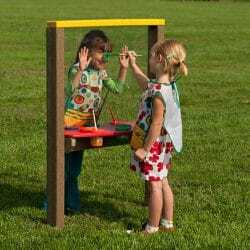 The Art Easel comes with paint cup holders on both sides and can be conveniently hosed down, making clean up quick and easy for this ultimate piece of children’s outdoor play equipment. The Single Small Art Easel is available in maintenance-free plastic or cedar for your natural playground. The Adventurous Child also offers a Double Small Art Easel, which allows 4 or more children to create and interact. The Double Small Art Easel is available in cedar and maintenance-free plastic. See natural wood product and polycarbonate materials. When using the Art Easel, only use paint/markers that are designed to come off with water. Paint, cups and brushes are not included.